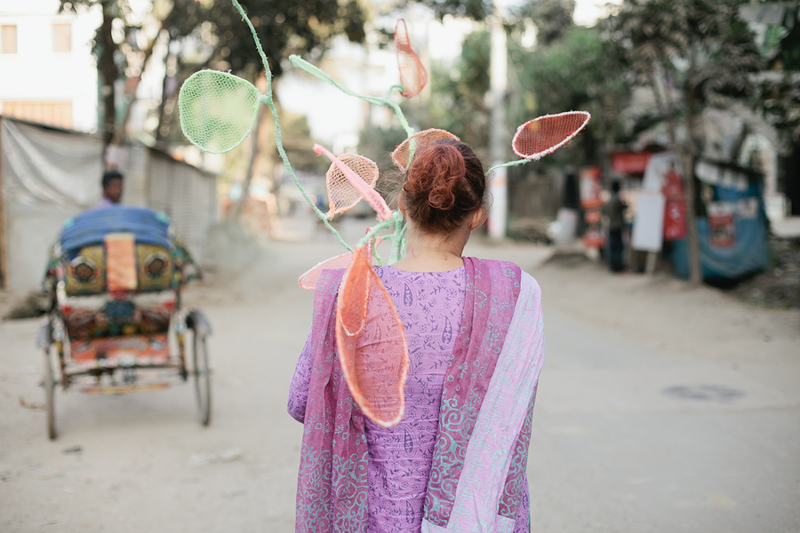 When I walked in the streets of Dhaka I often couldn’t see a big picture. 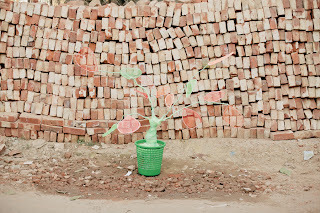 What I saw was continuity and repetition of details, objects, small events and moments. Among all the trash on the streets I started to notice colorful nets that are used as bags for fruits and food. 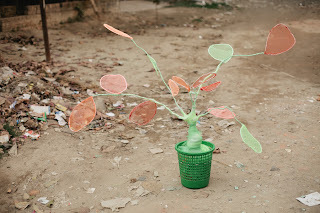 I started to collect them to make an artwork and it was exciting to find different colors, they became like a small treasure for me. 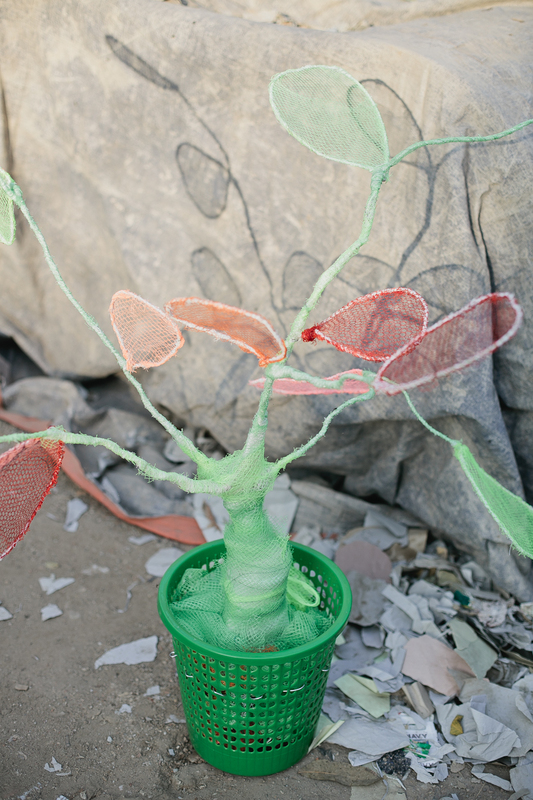 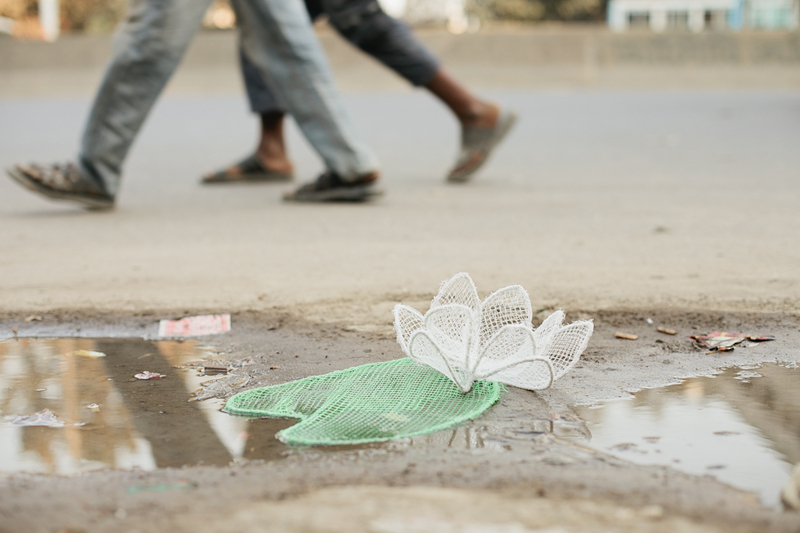 Out of these nets I made “trash plants” and placed them on the streets on dirty spots. 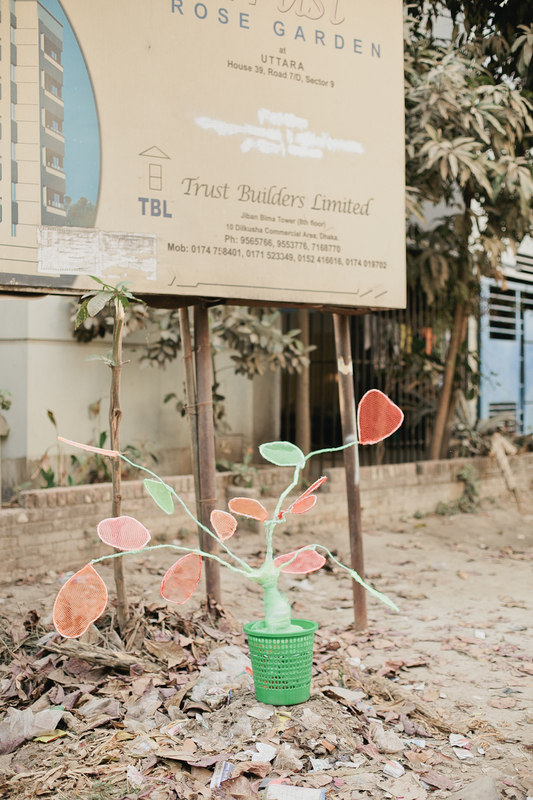 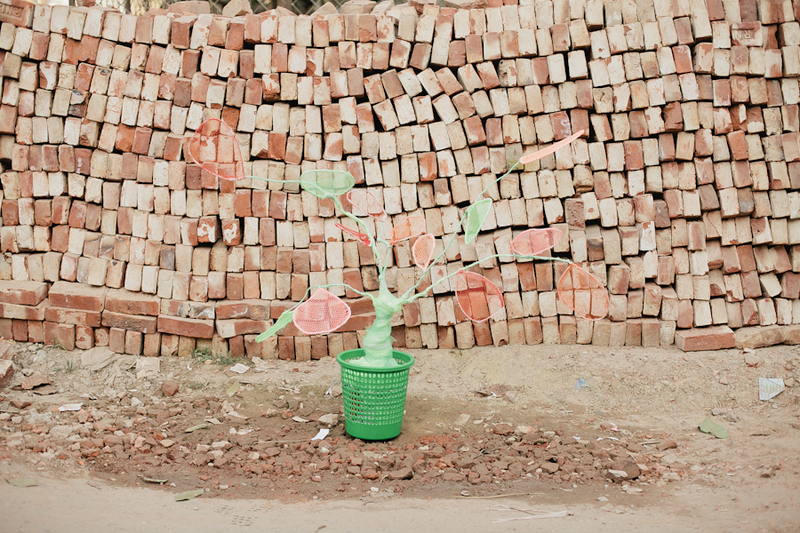 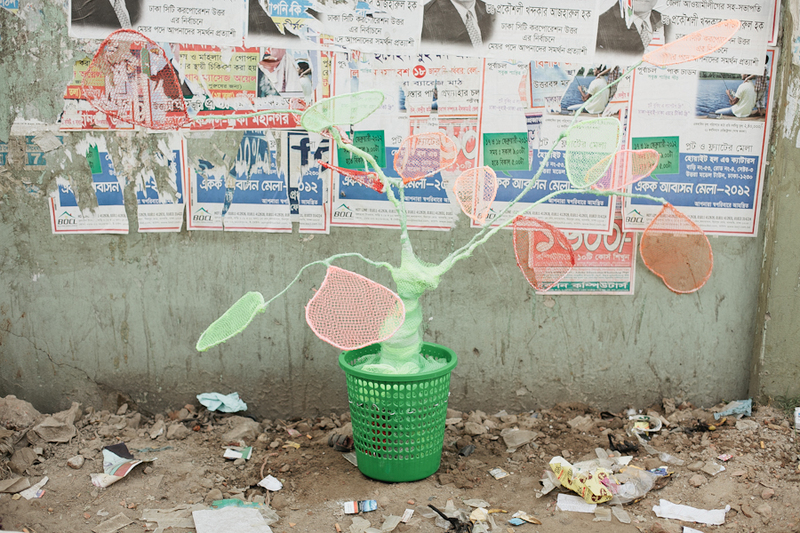 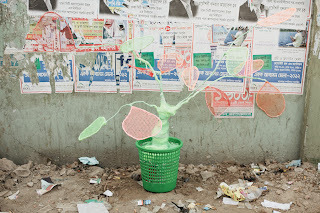 I was often so impressed by the kind and joyful hearts of the Bangladeshi people and somehow it made sense for me to place colorful plants on the dirty streets, since in my eyes the people were like color points in a dusty city as well.